Whether you are looking for a regular maintenance oil change, need new brakes or transmission repair, you’ll be happy you came to Germain Honda of Ann Arbor’s Auto Repair Center. Our technicians Fix it Right The First Time because of their high level of expertise, and experience with genuine Honda parts. Feel free to schedule service by pressing the button below! We will squeeze you into your most convenient time table. If you are the type of Honda owner who likes to do their own maintenance, or you’re thinking of adding a new accessory to your Honda car or SUV – the Honda Parts Department at Honda of Ann Arbor is ready to serve you! Our team of parts professionals has been here for decades and they know Honda vehicles inside and out. The sales person and staff I dealt with were knowledgeable and also low-pressure when I just bought a 2019 Honda Accord. In particular, the sales person (Jeff Williams) clearly explained the Honda features and options giving me the information I needed to make a good decision. He made me feel like a valued customer. Also, the repair facility is excellent – very competent – in servicing the prior Hondas I’ve owned. I have bought Hondas and had them serviced at this dealer for 29 years. As someone who presents as a little girl, I am always anxious about being mistreated at car places. Combined with the fact that this was the first time I got my oil changed since I started grad school here, I was especially on guard. I wish I had gotten the name of the gentleman who took care of my car, but he made me feel very welcomed. If his customer service is any reflection of the rest of the staff, then I highly recommend and will continue to go here for Honda services! Of all the dealerships I visited Germain Honda of Ann Arbor was by far the best. Desmond Jeffries and Jerome Pardue are outstanding at their jobs. They sincerely listen to your needs, and you will leave knowing you made the right decision. Great salesman he was very knowledgeable and helpful in every way. When we were out on a test drive he knew exactly how to explain the features. I would give him a six star rating if I could. Serving Ann Arbor, Brighton, Chelsea, Farmington Hills, Ypsilanti, Plymouth, and Jackson, MI. That’s right! 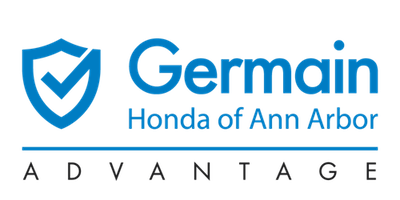 In addition to our Ann Arbor customers, Germain Honda of Ann Arbor has lots of customers from Brighton, Chelsea, Farmington Hills, Ypsilanti, Plymouth, Detroit, and Jackson, MI. After being named the #1 Honda Dealer in Michigan for 2014, 2015, AND 2016 by DealerRater – it’s easy to understand why customers from throughout Southeast Michigan make the easy drive to Ann Arbor to buy a new Honda or one of our Certified Pre-Owned Honda automobiles.